Celebrating the holidays at work can be a good way to encourage team camaraderie, thank employees for their service and create a more festive atmosphere. However, it is critical to proceed cautiously and maintain a professional environment, whether at an office holiday party, a workplace celebratory lunch, or even day to day in the workplace when it comes to office décor and time off. Employers also should be inclusive and consider the needs of employees of all faiths, even those who do not celebrate. When decorating the office or planning décor for an office holiday party, it’s best to stick with a winter theme highlighting nonreligious secular winter symbols like snowflakes, icicles and sleds. If including a Christmas tree, an employer should also consider adding a menorah. An employer should steer clear of overtly religious themes and symbols such as mangers, Santa Claus or mistletoe which may offend employees and lead to a religious discrimination or harassment claim. Instituting an office decorating policy may also be useful as this will help define personal/private work stations and public spaces within the office. According to Robin Shea, a labor and employment partner with Constangy, Brooks, Smith & Prophete LLP, and one of the leading US employment bloggers, an employer should make it clear that the party or celebration is open to all employees regardless of faith and focus on inclusion. However, employees should be permitted to opt out of attending if there is a religious objection. When planning workplace events, an employer should be sensitive to the dietary needs and allergies of its employees and offer kosher, vegetarian and gluten-free food if needed. An employer should also be cautious about serving alcohol at the event as this may lead to a myriad of issues, including injuries, discrimination, harassment and inappropriate or offensive conduct. If an employer chooses to serve or permit alcohol, it should designate a management employee to monitor employees’ alcohol intake. This also means making sure that all employees are completely sober before driving home. If an intoxicated employee leaves the workplace or a workplace event and injures a third party or damages a third party’s property, the employer may be liable for negligence. Shea advises that luncheons generally are a “safer bet” than an evening party when it comes to reducing liability concerns because people will drink less. Attendance should not be mandatory at holiday parties or workplace holiday celebrations as this could create wage and hour issues for employees who are nonexempt. If attendance is mandatory it may be considered working time, and hourly employees may be entitled to overtime. Further, an employer should not conduct any actual work-related activities at the celebration, such as employee training or an employee awards program, as not all employees may take part. It is important for an employer to be flexible around the holidays in terms of employee scheduling and absences so that all employees feel that they are able to celebrate with their families no matter their faith. Most employees have a right to take time off for religious observance as a religious accommodation. However, some businesses may need to run through Christmas and New Year’s and an employer may need to plan for this. 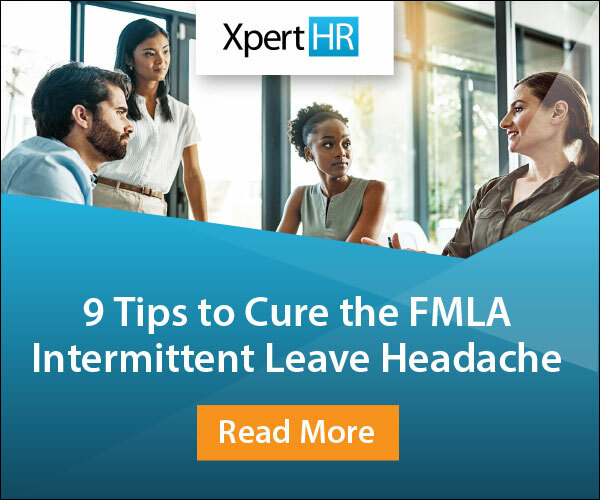 One solution is implementing floating religious holidays that employees can use on dates that are not part of the employer’s official company schedule. Additionally, employers should think about holidays of all faiths when planning any workplace events or meetings and take these dates into account. Organizations should also be sure to properly plan for year-end activities that may need to be completed and work this into the schedule. Holidays can be a joyful time filled with office parties, happy hours and good cheer. However, it is critical that employers remember to enforce EEO policies regarding discrimination, harassment and retaliation. It is also a good time to remind supervisors and employees of the employer’s code of conduct and proper workplace behaviors as well as policies regarding workplace relationships and dating. Doing this will help to maintain a professional atmosphere and minimize the risk of a lawsuit. An employer should remember to be inclusive when it comes to celebrating the holidays and include employees in all offices as well as all employees who telecommute, especially given the growing number of workers are independent contractors, or players in the gig economy. An employer should extend invitations to all employees and may want to consider picking up travel costs for employees who work out of town, from home or in satellite offices. 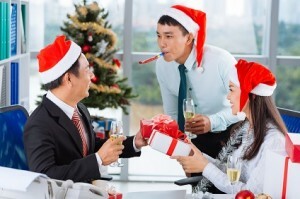 What’s your biggest concern with office holiday parties? Let us know by leaving a comment below.